About one year ago, Austrian eyewear label ANDY WOLF acquired a small eyewear workshop in the French Jura region, specialized in manufacturing delicate metal frames. With lots of love for detail, every single pair is crafted by hand. Naturally, such a process requires time, but ANDY WOLF is willing to make the effort with gorgeous results including the latest Bi-Color Design collection. 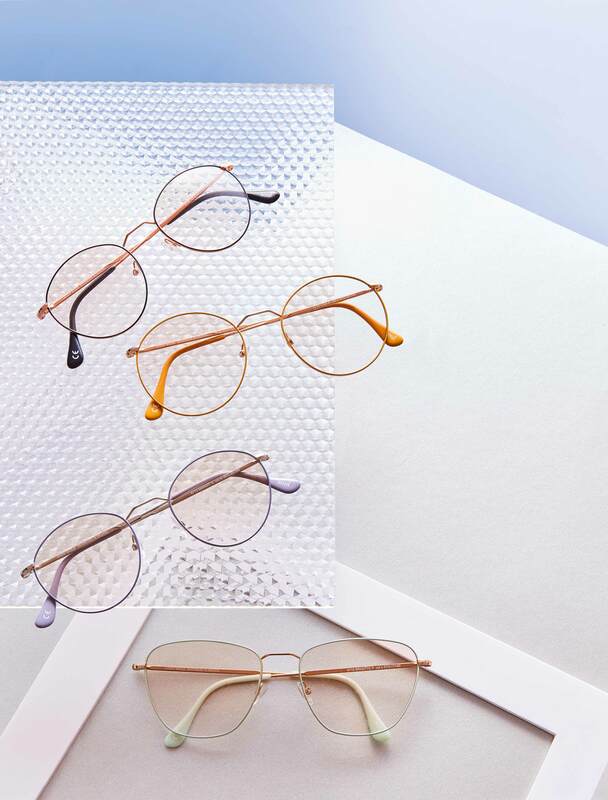 As the underlying concept, this new line combines ultra-delicate frame constructions with carefully appointed colorways for a coherent overall presentation. The two-tone color design is created by covering certain parts of the frame in aluminum foil right after the galvanizing process and before applying the paint coating. The final results are then fixated via lacquer finish in order to preserve the colorways for years of prolonged wear. Standout colors for the new season include subtle hues such as Mint, Lavender, and an especially charming Mustard tone.